Does a Farmers Market Make Sense for Food Companies? You’re a rising food company or, maybe, a small startup. You want to grow your business. Why the heck should you waste your energy at some small-time farmers market? Well, maybe you shouldn’t. But, when it comes to food branding and business development, always keep this in mind . . .The farmers market is only “small-time” if your reason for being there is simply to sell product. If, on the other hand, you’re thinking about how to build your brand presence and grow your potential customer base, here are four ways to turn the farmers market into a “big-time” opportunity. Farmers markets are everywhere. And they continue to grow in lockstep with the consumer trends about local food sourcing. According to the USDA, there were 8,669 farmers markets listed in the National Farmers Market Directory in 2016. That’s a 2.3% increase from 2015 and the trend line is pointing straight up. Even if your potential market region is limited to your home state at this early stage in your growth, the popularity of farmers markets is creating multiple venues for your products’ exposure. What better way to introduce your brand beyond your own backyard? Secondly, in the execution of this multiple-venue strategy, you’ll identify the farmers markets most responsive to you and what you have to offer. Naturally, at the point that you’re returning to these venues on a regular basis, you’re cultivating brand loyalty among your biggest fans who, in turn, begin marketing for you as they introduce your products to their friends. The strongest brands build on waves of grassroots, person-to-person, social validation. Farmers markets are perfectly scaled to serve this purpose for smaller food companies like yours, standing at a relatively early point along the business-growth curve. Having brand-growth ambition means looking beyond the transactional nature of the farmers market to see how much can be gained by having direct, on-the-spot engagement with consumers. Use these opportunities to get honest, unfiltered feedback–the good, bad and the ugly–on how your food product tastes, your price, your packaging, your booth “storefront” presentation—everything that will carry forward as you expand into new markets. Getting this information on the ground, in real time, is gold. And few other channels can pay off on this count like the farmers market. With all these incredible, underestimated advantages, the farmers market has a low barrier to entry. This is perfect for a new, emerging food company or brand with a modest marketing budget and, for that, a greater dependency on marketing ROI. 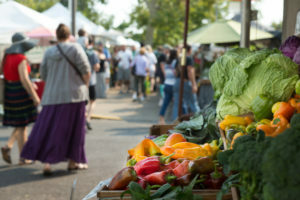 Are Farmers Markets Only for Upstarts? 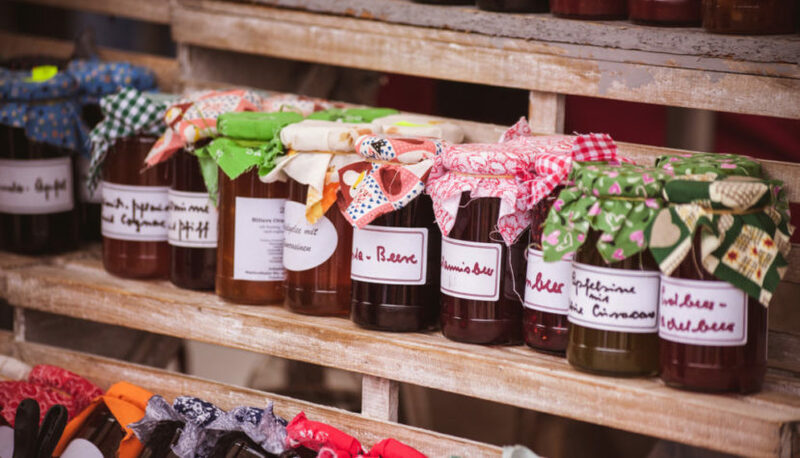 So, you’ve developed and executed a brilliant farmers-market strategy. Fast forward several years and you’re now a multi-million dollar business. You may have thought you crossed a threshold a long time ago when the farmers market circuit just didn’t make sense anymore. Is there any reason to go back? Maybe—depending on your goals and your strategy. Are you a big company launching a new brand intended to feel like a mom-and-pop? Is your product ideal for a geographic niche? Maybe the kind of raw, on-the-ground market research in #3 is what you need, regardless of your company size. Your food company is unique and so are the farmers markets that might be available to you. From the types of vendors and competitive products on hand, to the social-media opportunities surrounding the event, to the logistical issues involved, so many questions need answers before your strategy can really pay off. Call NewPoint and let’s talk.